Easter is the next egg-citing event to celebrate in the craft calendar, and it’s the perfect excuse to get making by using all those fresh spring paper collections and materials. So, put your skills to the test and enjoy our wonderful selection of project ideas. 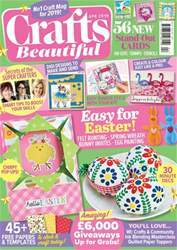 There’s traditional egg painting, bright felt decorations for an Easter egg hunt, and enchanting cards with bunnies and chicks aplenty. 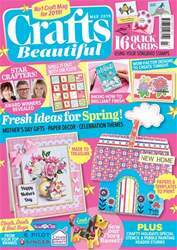 We also meet the Super Crafters – those talented stars who keep us entertained and inspired with their clever ideas and innovative products. Our roving reporter, Julie Peasgood shares creative highlights from her cruise to Spain in a brand new column, and Stuart Hillard suggests alternative and enjoyable ways to celebrate Easter that are chocolate free. 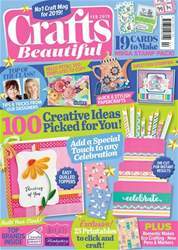 Whatever you are up to this month, make it crafty!